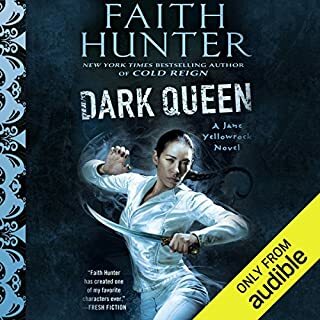 Another great adventure from Faith Hunter! 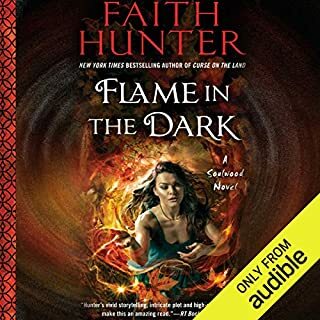 once again Khristine brings the words of Faith Hunter to life! Amazing must have in the Jane Yellowrock series. Does have cliffhanger but still worth the read if you love this series. New to the series you will want to start w Skin Walker. You will fall in love with Jane and all in the Yellowrock security family! Book 1 of the Men of Manifold series sets the foundation not only for the series, but we see the first relationship emerge for the Men. Ravens knows how to take care of herself and the pain she has faced in a past relationship has her wanting nothing to do with Ian Blackwell. Ian, doesn't want to take no for an answer,but knows she is different and will have to play it her way. Ian is willing to build a foundation first and let her see that he is worth the chance. 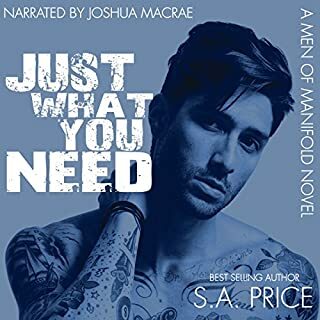 Just what you need sets the pace for the series by taking you on a trip where we learn just enough about the Men to make you need more!! Joshua Macrae is definitely the voice of Manifold! His narration leaves no doubt that this series characters are real for some. Josh Macrae brings this story to life!! I read the book when it was first released, but nothing could prepare me for how Josh made everyone real! Book 2 in the Men of Manafold series is a scorcher! if you like your men rocking, naughty, and left with a need for a shower Judas is your man. S.A. Price takes a step out of the comfort zone to produce another personality for her diverse group of characters. 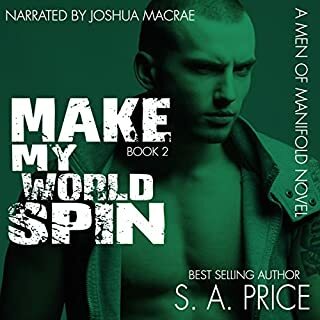 Hot fun, realistic love for the alternative life, a touch of thrilling suspense and danger and you have Make my World Spin! Nell Ingram has always known she was different. Since she was a child, she's been able to feel and channel ancient powers from deep within the earth. When she met Jane Yellowrock, her entire life changed, and she was recruited into PsyLED - the Homeland Security division that polices paranormals. But now her newly formed unit is about to take on its toughest case yet. A powerful senator barely survives an assassination attempt that leaves many others dead - and the house he was visiting burns to the ground. The team of Faith and Khristine are amazing! a must have in the Soulwood series!